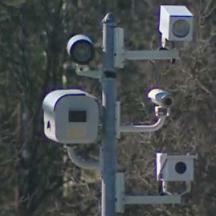 Buried deep inside a transportation bill in next door Pennsylvania is a plan to deploy speed cameras in freeway work zones in central PA, according to a report on CBSPhilly. “Hopefully this will save lives and create a better safety zone for people who are out there working,” said the bill's sponsor Representative Ron Waters. The plan would create a system similar to Maryland's SafeZones program, run by the SHA and State Police. In Maryland, this program issues tickets in workzones "regardless of whether workers are present", according to the Maryland law which governs cameras. Many of the cameras would likely be deployed in central PA, where the cameras are likely to be highly controversial with residents of rural parts of PA. But some in PA may be looking cautiously at experiences in Maryland as examples of what can go wrong. “The cameras have never really fully been tested,” said Gene Simmers, who was forced into retirement from Maryland’s State Highway Administration after blowing the whistle on improprieties in the program. Simmer's tips to the whistleblower hotline became the basis of an audit of the Maryland SafeZones Program, which also admitted problems with calibration procedures for cameras. The event was part of a series of systematic errors which Baltimore City has now admitted to, where hundreds of motorists were falsely accused. Motorists who believe AAA is prepared to defend their rights on this issue will probably be disappointed: despite their own drivers having been falsely accused by Baltimore City speed cameras, Insurance Company AAA testified in opposition to legislation this year which would have repealed speed cameras in Maryland. Pennsylvania based trucking companies were among those who complained to our website and also to the City of Baltimore about having received the erroneous citation. One motorist from PA complained to us about having received TWO erroneous speed camera citations from Maryland without having even visited the state.